Serial Attached SCSI (SAS) is a point-to-point serial protocol that moves data to and from computer storage devices such as hard drives and tape drives. SAS replaces the older Parallel SCSI (Parallel Small Computer System Interface, usually pronounced "scuzzy") bus technology that first appeared in the mid-1980s. SAS, like its predecessor, uses the standard SCSI Commands. 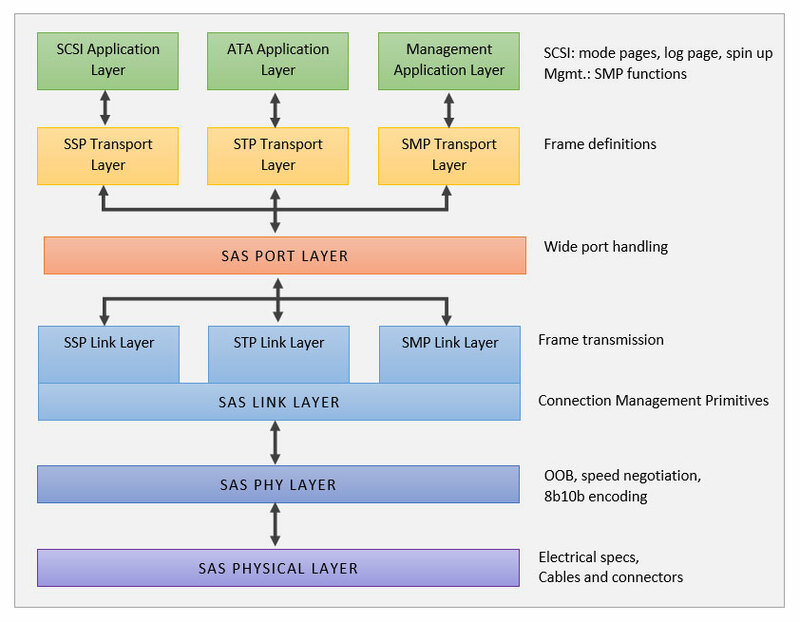 SAS offers optional compatibility with Serial ATA (SATA), versions 2 and later. This allows the connection of SATA drives to most SAS controllers. The reverse, connecting SAS drives to SATA backplanes, is not possible.